In less than 24 hours I will have the pleasure of jumping on a plane and heading to Chicago for a sister trip. What a treat! And yet, I recognize travel is not so special for those who have to do it constantly. And so I had to ask what tips could make travel easier for those who are on the go more than I. My mind quickly went to Apps. It didn’t take long to find the top ten recommended apps for travel. Although they all sounded super cool we’ll spotlight just three of them today. 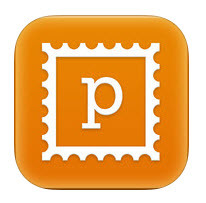 Packing Pro is the perfect app for a DoAhead or DoAhead wanna-be! It has ready made lists that can be personalized by checking a box. Categories are established and they make organizing (and remembering) a snap! For example, the pre-trip to do list had items I sometimes forget like sharing the itinerary with another family member. The medical/health category also listed items I tend to forget. The five minutes it would take to scan over these lists would be well worth it! On a scale of 1-10 I give this app a 9. The Perfect Postcard app sounded like fun! Love the idea but truthfully it seemed a little lacking. You have the option of sending an ecard, a video post card or creating your own postcard. The bottom line is that the inventory of pics to choose from is very limited (4 to choose from for Vienna, 2 to choose from for South Dakota, 2 to choose from for Hawaii). Not a bad app, it just didn’t knock me off my socks. On a scale of 1-10 I give it a 5. 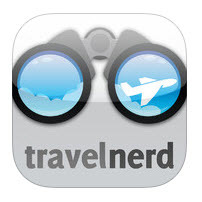 The Travel Nerd app looks like the bees knees. I can’t wait to try it out at O’Hare airport tomorrow. One use is to find restaurants in the airport. The app will tell me what terminal and near what gate the restaurant is located. It also has information re: hours of operation and whether or not the restaurant is a sit down facility. The app also allow access to parking maps. I can also readily access contact information for taxi services that come to the airport. I can call the taxi by phone or book them online! Sweeeeeet! That’s it! 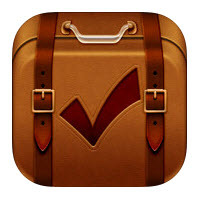 Three little apps for traveling like a DoAhead!